I’ve set up a QL page of my own on Facebook. What I hope to do is provide snippets of news, links to useful QL blogs and websites and so on. It’s called simply DJ’s Sinclair QL Pages. Find it on Facebook by searching for djsinclairql or go to fb.me/djsinclairql or https://www.facebook.com/djsinclairql/ If you like the page, click on Like so that the likes spread via newsfeeds and increase awareness of the page and the QL in general. 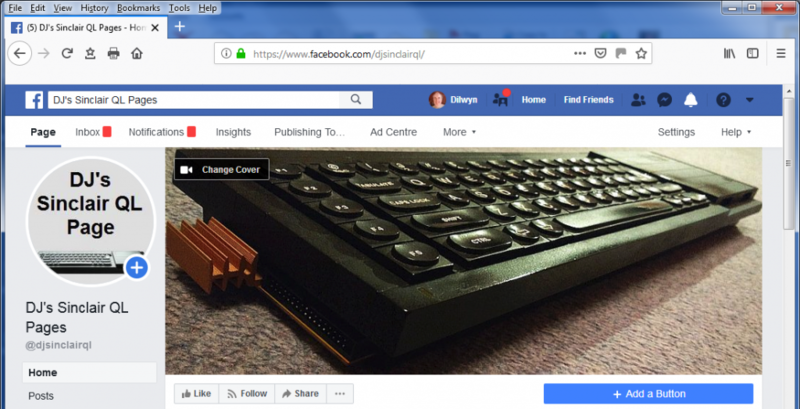 This entry was posted in News and tagged DJ’s Sinclair QL Pages On Facebook on 13/02/2019 by Dilwyn.